Is it Monday already? 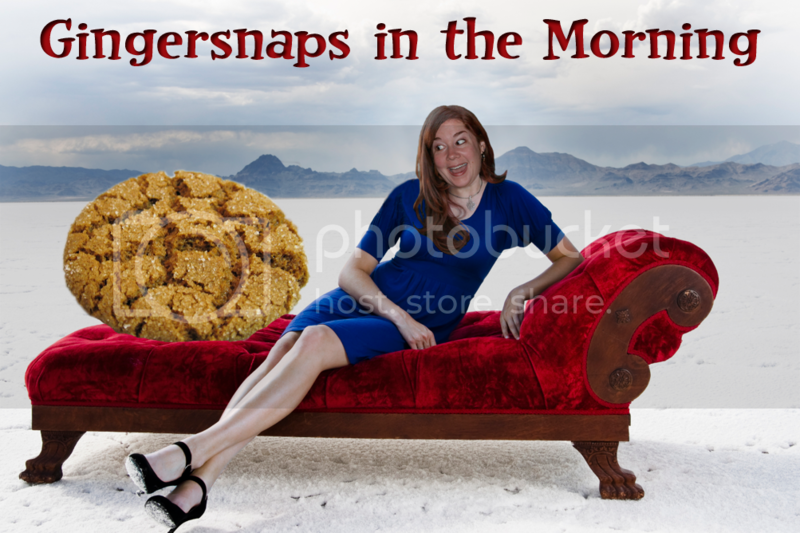 *facepalm* Well if everyone is here, we might as well get going and start the week out stuffing our faces with gingersnaps. 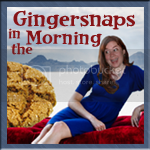 I don't even like gingersnaps. The weather in Riddle, Oregon is a rainy 64 degrees today. I know, you're shocked it's raining in the Pacific Northwest. I am too. Hey, I've got a riddle for you. What Los Angeles freeway's traffic today is bumper to bumper? Wait. That's not really a riddle. It's more like a question. Anyway, if you guessed the 405, you are a winner! 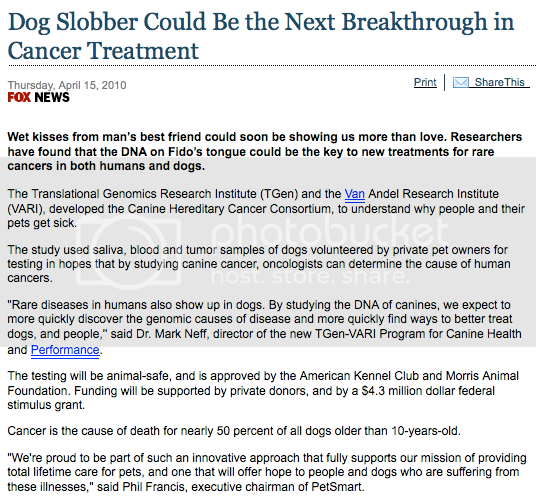 In the news today, they are saying dog slobber could be the key to new treatments for rare cancers in humans and dogs. I'm glad dog spit is good for something, because ewwwwww. You know if dogs came without slobber, barking and that dog smell... I'd totally have one. And if you're going to tell me that if I just had the same kind of dog you had, I'd love dogs... forget it. If I had a nickel for every time someone told me that, I'd have like... 25 nickels by now. And the World's Luckiest Girl Award goes to Kate Bosworth! You True Blood fans know what I mean. Kate and her boyfriend Alexander Skarsgard were in Indio, California on Saturday attending the Coachella Valley Music and Arts Festival. No really, I'm happy for her. I hope they get married and have little blond, freaky eyed babies. If you think that's sweet, check this out. Eddie Cibrian supported his girlfriend, and fellow adulterer, LeAnn Rimes at the 2010 ACM Awards in Las Vegas. Awww... aren't they so in love and sweet? I'm sure the spouses they both cheated on agree. Yeah, they're on the welcoming committee of the Douchebag Club. You know, instead of talking about the Douchebag Club, I should be featuring celebrities that are faithful to their partners. But honestly it would be more like Celebrities Who Haven't Gotten Caught Yet For Cheating Club. The CWHGCYFC Club for short. Boy I'm rambling today. Where's my coffee?! Somebody has a death wish. 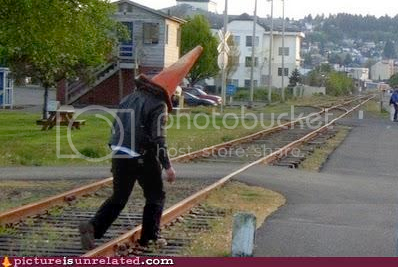 Well if the train doesn't get him, a car will. People who laugh a lot are much healthier than those who don't. Laughter elevates mood levels by increasing levels of beta-endorphines; increases human growth hormone; lowers levels of three stress hormones (cortisol, dopac, and epinephrine); raises good cholesterol and lowers inflammation in diabetic patients. I don't know about you, but I'm going to try to see if I can get that human growth hormone to kick in and raise my 5'3 frame. Excuse me while I go and LMAO. Eddie Cibrian = YUCK! When I saw that he presented an award at the ACM Awards, I almost heaved. Wonder how he got that gig? He needs to be added to Douchebags club.